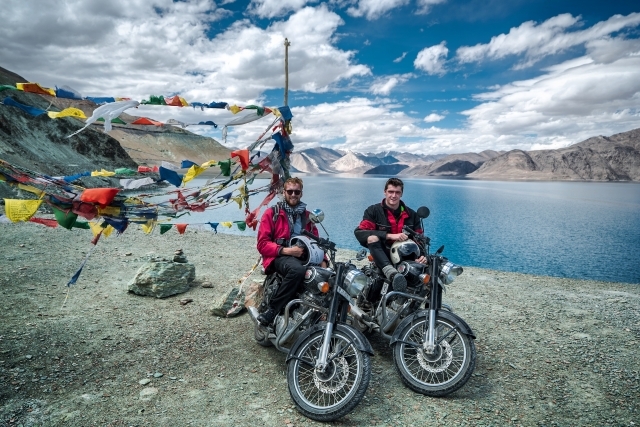 Having never ridden a motorcycle, William Shears traveled to Vietnam to begin a roughly 1,200-mile motorbike adventure from Hanoi to Ho Chi Minh. He bought a second hand 110cc Honda he called Black Rose and set off on the Ho Chi Minh Highway with a camera to capture the journey. You’ll find it on YouTube in a video titled How to Motorbike Vietnam and you can learn more about William at his website williamshears.co.uk. William Shears, welcome to The Pursuit Zone. 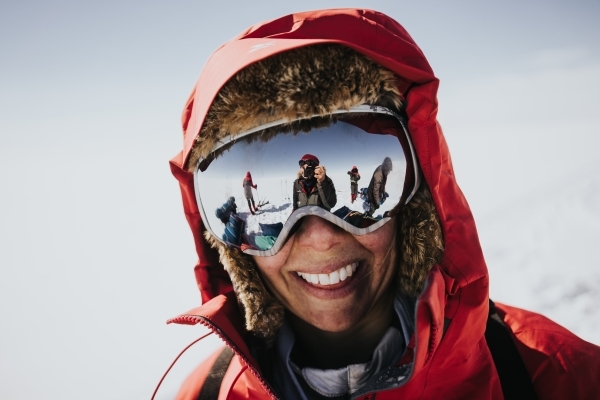 Out of almost 200 applicants, Hollie Woodhouse along with 3 other young explorers were selected to take on the 2018 Antarctic Heritage Trust Inspiring Explorers’ Expedition – a 560-kilometer crossing of the Greenland ice cap on skis in tribute to Fridtjof Nansen, the renowned polar explorer and humanitarian, who completed the first crossing of Greenland 130 years prior. Their team battled hurricane conditions, heavy snowfalls and illness, but after starting on the west coast on May 4th they arrived in the east coast village of Tasiilaq on June 1st. Hollie is also the creator of Say Yes To Adventure magazine. It’s filled with inspiring adventure stories and photos. You can learn more about Hollie and her adventures at holliewoodhouse.com. Hollie Woodhouse, welcome back to the show. The Volvo Ocean Race is an around the world sailing race over nine months and 45,0000 nautical miles. Within each race team is an embedded multimedia journalist whose job is to give the fans on shore a taste of what the race is really like. It’s one of the toughest jobs in sports media and Jen Edney was one of the ten journalists embedded this year. Jen is a traveler and adventure storyteller using photography and video and you can learn more about her at www.edneyap.com. 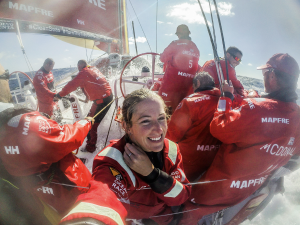 Jen Edney, welcome to The Pursuit Zone. Every year since 2014 George Maurer has gone on an epic bike ride to raise funds for cancer research in memory of his friend Carolyn Held who died from cancer in 2012. In that time he has raised 45,000 dollars for research at the Mayo Clinic Cancer Center. 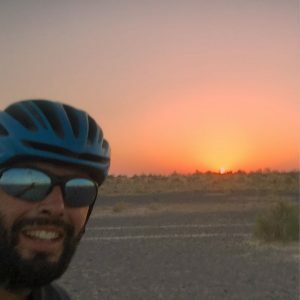 George names his cycling adventures using his age and the destination so in 2016 it was 50 across Iceland and in 2017 it was 51 across Sri Lanka. This year it will be 52 across Canada. You can learn more about his adventures at georgemaurer.com. George Maurer, welcome to The Pursuit Zone. 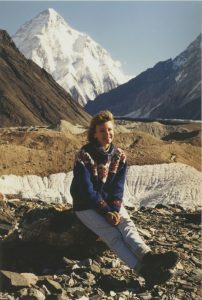 In the middle of the Karakorum range in Pakistan is a place called Concordia. It’s where the Baltoro glacier meets the Godwin-Austen glacier. It’s a place known as the throne room of the mountain gods because it’s surrounded by four 8,000-meter peaks, one of those being K2 the second highest peak in the world. In 1994 Alison Young found herself in Islamabad visiting her father who was stationed at the US embassy. Wanting to trek to Concordia, she was able to tag along on an overland journey with a Dutch and German couple. It was a difficult and hazardous 25-day trek that you can learn more about at alisonyoungproductions.com. Alison Young, welcome to The Pursuit Zone. Tim Moss has a new book titled With the Sun on Our Right. 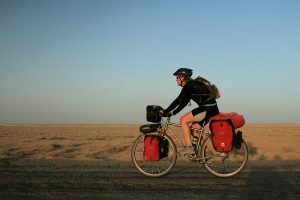 It chronicles the 16-month ‘round-the-world cycle tour he and his wife Laura began in 2013 cycling over 13,000 miles in 26 countries and 4 continents. 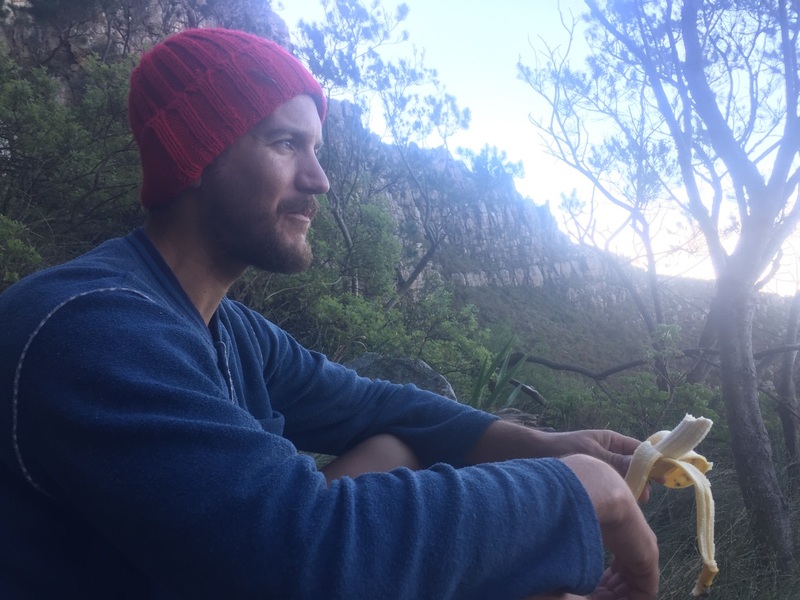 Before this, Tim spent 5 years working in the expedition industry supporting expeditions on all 7 continents. His own expeditions have included scaling unclimbed mountains in Kyrgyzstan, Bolivia and Russia and traveling around the world using eighty different methods of transport as well as setting the Guinness World Record for the longest distance cycled in a rickshaw. 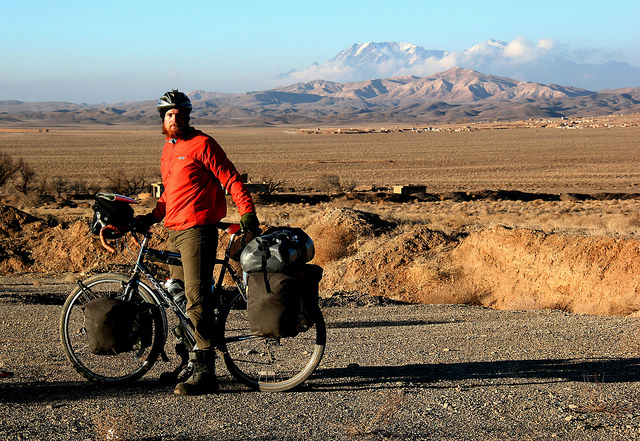 You can learn more about Tim and his adventures at thenextchallenge.org where he encourages others to go on adventures and offers The Next Challenge Expedition Grant each year to help them do so. Tim Moss, welcome to The Pursuit Zone. The Great Plains Trail is a recently established long distance hiking trail in the US. It stretches for 2,200 miles from the desert of west Texas to the Montana Canadian border. It crosses 3 National Parks, 3 National Monuments, 10 National Forests and Grasslands, 5 State High Points, and 15 State Parks. Luke Jordan spent 85 days on the trail in 2016, becoming the first person to thru-hike it. You can learn more about the trail at greatplainstrail.org and more about Luke at stridernct.com. Luke previously appeared in episode 30 talking about his thru-hike of the North Country Trail. Luke Jordan, welcome back to the show.